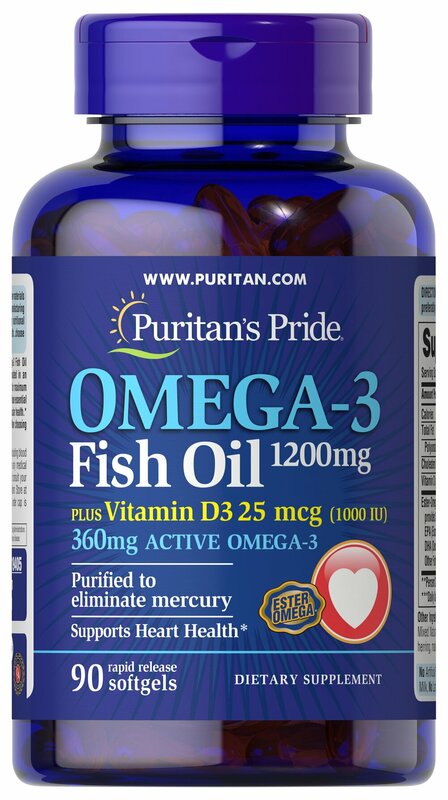 Omega-3 Fish Oil– a highly concentrated and purified fish oil selected from the finest deep sea, cold water fish combined with 1000 IU of Vitamin D3 in one convenient coated softgel. Artificial Flavor or Sweetener, No Preservatives, No Sugar, No Starch, No Milk, No Lactose, No Gluten, No Wheat, No Yeast, No Shellfish. Sodium Free.